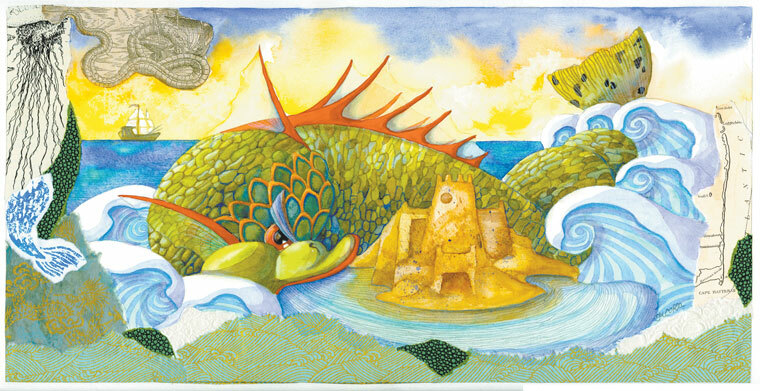 Sea Dragon with Sandcastle by Liz Corsa. Liz Corsa. Photo Eve Turek. Liz has been hooked on art since she first started selling drawings of horse heads for ten cents each as a young girl in Massachusetts. Her mother encouraged her, enrolling her in an adult painting class. After a local frame shop offered to frame her work, she had her art show debut at the age of 16 in a movie theater. With her first taste of success, Corsa dove in head first to educate herself; she sought out any artists she was able to speak with, and read every book on the subject that she could get her hands on. In 1995, Corsa saw an ad in an art magazine that the Morales Art Gallery in Nags Head was seeking submissions. She sent them many of her pieces, and they sold every one. She moved to the Outer Banks so that she could earn a living painting, hoping to give her two sons a better life. She has found success that defies the “starving artist” stereotype, and counts herself fortunate to be one of the few local artists who can support herself and her children through art alone. Last year was a difficult year financially for artists. “One of the keys to living as an artist full time is to be flexible. You must look at other ways to do things if you want to survive,” says Corsa. And survive, she has. She has worked with small businesses that could license her images, placing her artwork on everything from dishware to cd covers, and wine bottles to greeting cards. 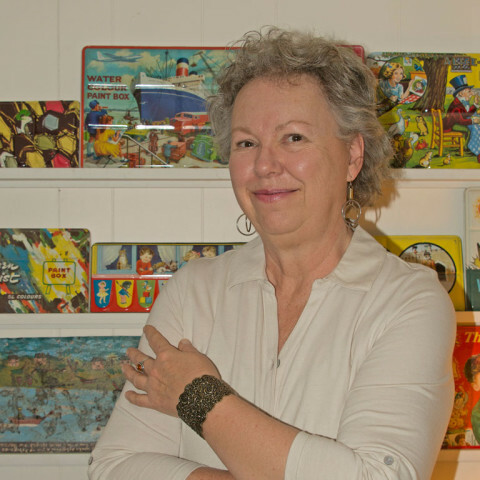 Her illustrations are found on local products such as Outer Banks Rum Cakes, national publications such as Ladybug Magazine, and she is the creator of the logo for the Town of Duck. She recently started working with Outer Island Cooperative, a local company that’s licensing her work. Corsa has also secured an agreement with a large international home décor company to license images she has created. “I get a thrill out of seeing my work on products. Some would say I sold out, but I don’t care. I’m proud to see my work on quality products. I’m paying my bills, and it allows me to continue to produce originals, to follow my passion,” she says. “Wandering around and sketching what I see outside” has become her favorite hobby. 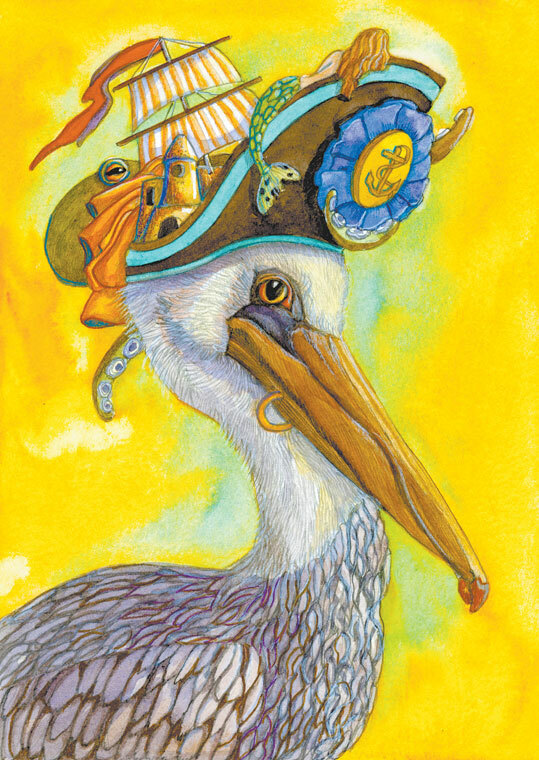 She looks for her favorite subjects—birds, small animals and bugs—and draws inspiration from their simple beauty. As is true of a mother’s love for her children, an artist rarely claims a favorite, though there is one painting Liz will never sell; she calls it Bee Bush. Born of endless hours sitting by a bush with her sons, drawing and writing in one of her numerous sketchbooks, they talked about life and marveled over nature’s beauty. As they watched the bevy of birds and insects that came and went together, Bee Bush became symbolic of documenting her life with her children and she considers it an important piece of family history. Previous story How Does Your Garden Grow?